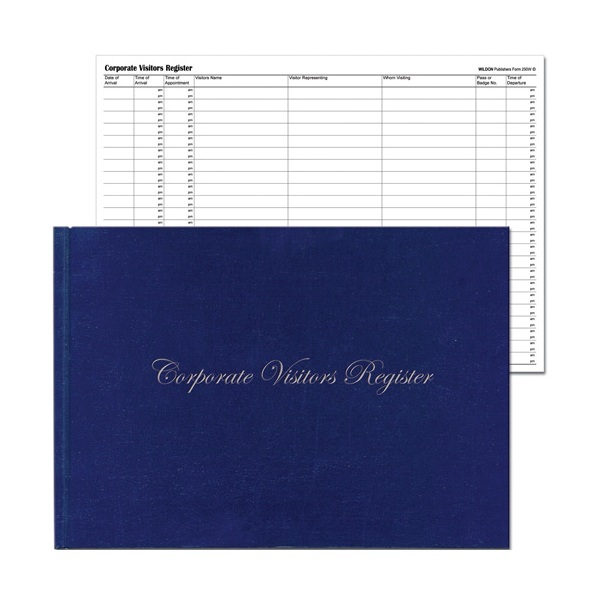 Make a positive impression upon your guests while maintaining accurate records. 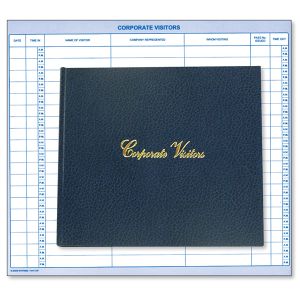 This high quality, hard covered visitors register from Wildon is constructed from superior paper. 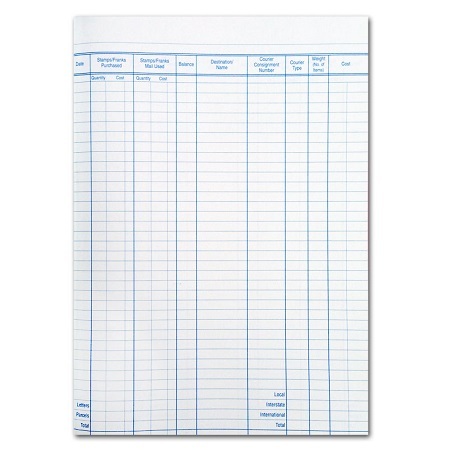 Features crisp & clear black print, a conveniently designed ledger provides space for relevant details. Size - A4 Landscape format (210 x 297 mm) with 56 Pages. Quality Case Bound Visitors Book from Cumberland. Polyurethane padded cover, stitched with two Gold corners and Gold print. Size - Large 195 x 260 mm landscape format with 90 Pages. 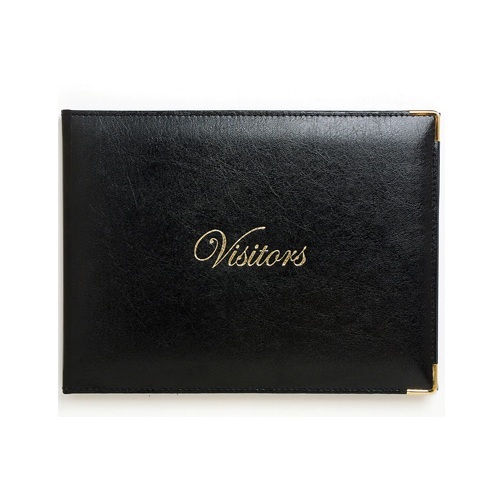 A padded, case bound, imitation leather covered book with protective brass edges on the corners to further enhance its appearance and durability. Size - 190 x 260 mm with Black cover. Features 128 pages, printed in grey on quality ledger paper. 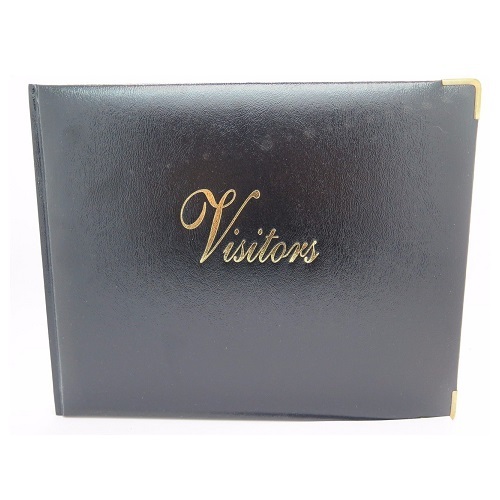 Make an impression, Quality Case Bound Visitors Book ideal for your Reception. 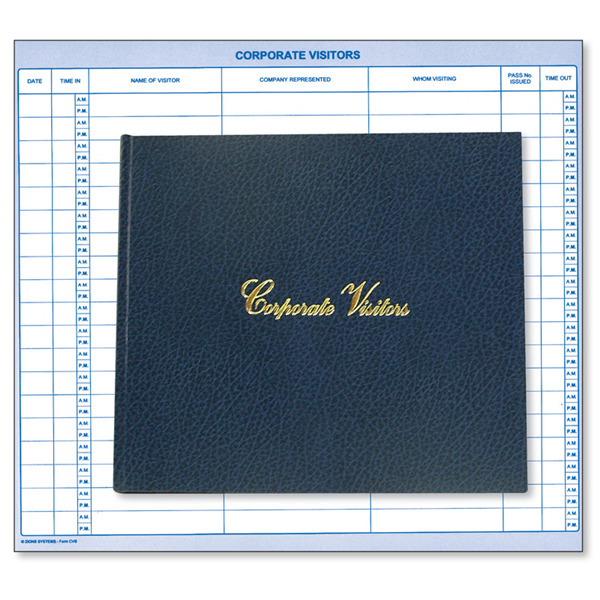 Details of the visitor are recorded in the Corporate Visitors Book including time in, company represented, whom visiting, pass number issued and time out. Size - 275 x 315 mm with 100 Pages. Traditional design Wedding Guest Book with concealed wiro, hard cover. 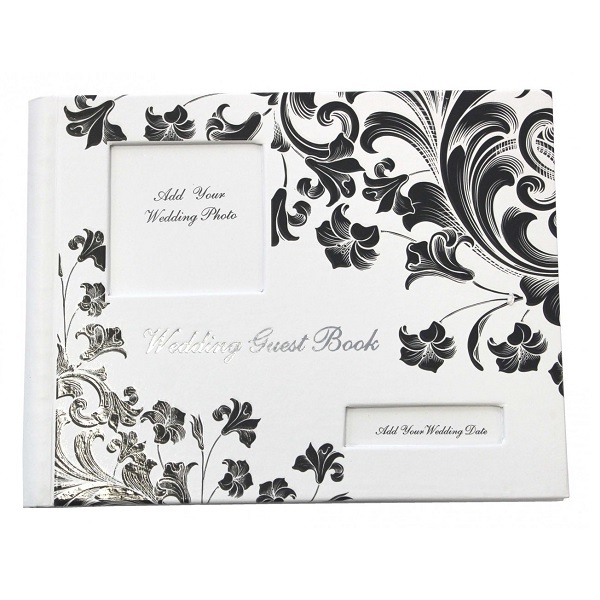 White cover with Floral design printed to the front cover in black. "Wedding Guest Book" Silver foil printed to the front cover. Ruled pages with guest and share your thoughts section. NEW for 2019! 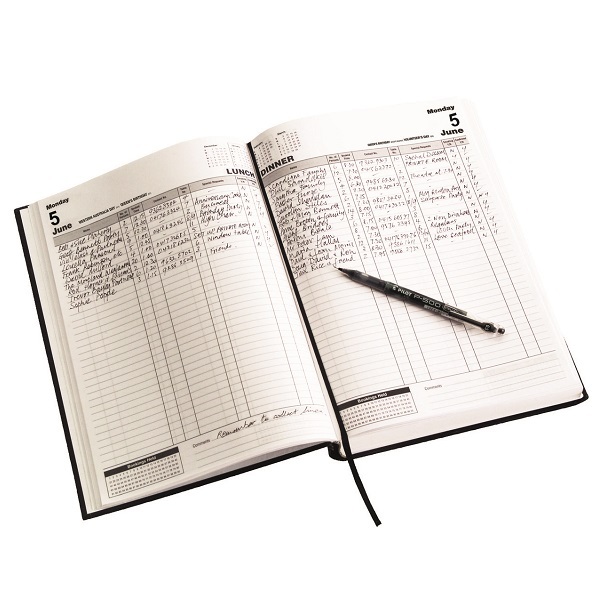 The perfect diary for your Restaurant, Bar or Cafe. Diary includes columns for details such as bookings, contact number and clientele special requests. Complete with forward year planner, 3 year reference calendars and Australian and NZ public holidays and school terms, Client and Staff information sections, Staff Leave planner and a Notes section also included. 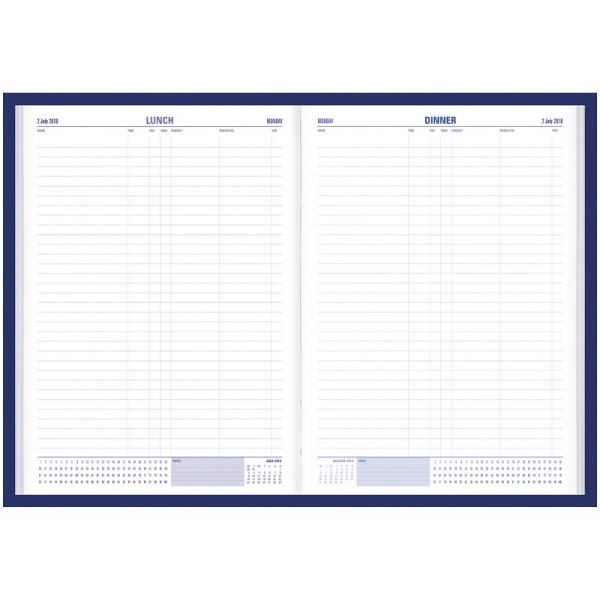 The ideal front counter diary for Restaurants and Cafes. Forward year planner and public holidays information also included. Accommodates bookings from 1st January to 31st December with Forward year planner and public holidays information. Also includes all holiday dates and school term dates for Australia and New Zealand. 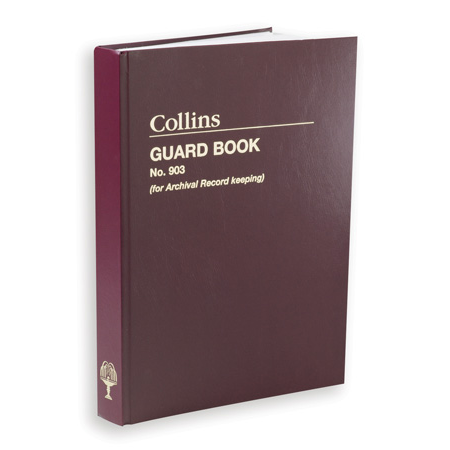 Leatherette Bound Guard Book on Acid Free Paper. Minute Record Book for Archival Record keeping. Size - 335 x 240 mm with 300 Pages. A complete record of all incoming and outgoing mail/deliveries. Size - A4 Record Book with 110 Pages.